We’ve all been there — maybe you were up all night studying, or maybe you went to the bar on a night you really shouldn’t have. Your alarm buzzes — it’s 8:30 am, and you have to be at class at 9:00. It’s at least a ten minute walk — and that’s after you find a parking spot. I know none of you smart ladies are guilty of skipping class or showing up noticeably late (myself excluded), but there’s a better way to deal with this situation than scampering out the door in the t-shirt and sweats you slept in! Spending the extra minute or two putting on a decent outfit will help you a) feel more awake and alert for class, b) show respect for your professor, and c) feel more confident for the rest of the day! 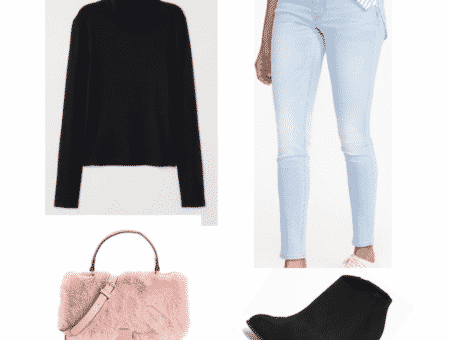 Below, I’ve created 4 easy outfits that require a minimal amount of effort to put on. Feel free to watch those extra segments on the Today show, or stop by Starbucks on your way to class — with these fast outfits, you’ll never have trouble getting dressed on the fly again! Flannel shirts are awesome for several reasons: They’re comfortable, always fashionable, and will go with just about everything. If flannel isn’t really your thing, try another sort of button down — a cotton dress shirt would look preppy and chic! Next, add a pair of shorts, and a belt – if you have the time or energy. After that, add casual sneakers — they’ll look stylish, but still be perfect for power-walking across campus in. If Converse sneaks aren’t your style, boat shoes, Vans slip-ons, or Toms will serve the same purpose. To make this look seem polished, part your hair on the side and brush it into a neat, low ponytail. Fishtail or regular braid your strands if you have an extra few minutes. Finally, add a simple pair of stud earrings — it’s a tiny accessory, but can make a world of difference when it comes to how polished you look for the day. Something as simple as the colors you’re wearing can affect the level of energy you have for the rest of the day. An easy way to lighten up tired-looking eyes is to come up with a simple color-blocked outfit. You’ll feel great, and look on-trend, too! A solid-colored v-neck will go with any other solid-colored pair of pants. Add a cardigan, blazer, or denim jacket if it’s chilly outside. Ballet flats will look polished but won’t sacrifice comfort. Mask unwashed hair by dusting it with dry shampoo and adding a headband (bonus points if it’s brightly colored also!). 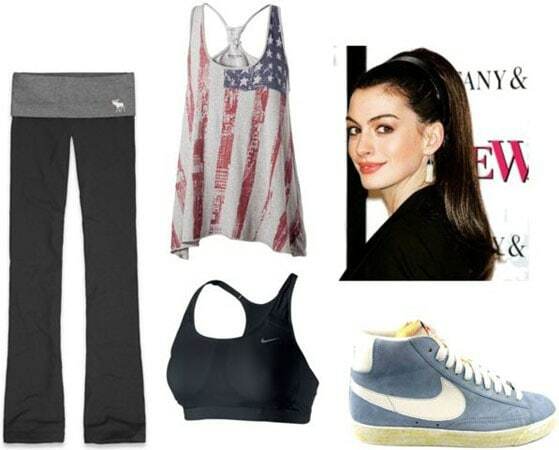 For all you sporty girls, this outfit is perfect for hitting the gym after an early morning class! Some of you might not agree with this, but I would SO much rather be seen in workout clothes than in that awful cut-off-pirate-sweatpants-and-flip-flop combo I see so many girls (and guys!) fall victim to. At least this way people understand that you’re going to or coming from the gym. And since you’re already dressed for it, you have no excuse not to fit in a quick workout after class! Though Tim Gunn may not agree, I love yoga pants for the gym. They’re not only practical but inexpensive – you can find cheap pairs at Target, and they’re even comfortable enough to sleep in! Finish the look with a cute tank and jog bra combo, add your running shoes, throw your hair into a high ponytail and you’re ready to go. The best part about this look? It won’t look weird at all if you don’t want to do your makeup! Another fast-and-chic outfit combination is to rock a relaxed-fit dress! Since you technically will only have one thing to put on, it might even be the fastest option you have. Strappy sandals might take, what, 30 seconds to put on, but that half a minute is well spent because they look much more put-together than a pair of flip flops would. Greasy roots? Solve this problem by rocking a fedora — not only will your unwashed hair be hidden, but you’ll also make a bold fashion statement. Finish the look by throwing on some bangle bracelets if you have time. Watch out, though — with an outfit this cute, people will probably think you spent an hour getting ready! 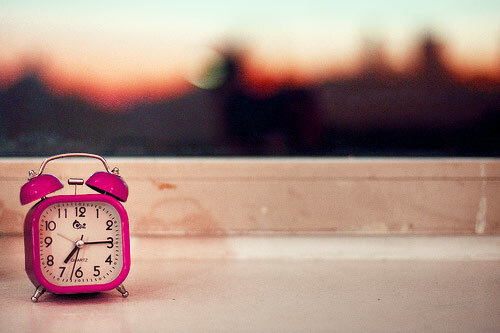 What is your go-to outfit for when you’re running late or need a few extra minutes of sleep? Do you plan your outfits out the night before, or do you always come up with outfits as you’re putting them on? What other strange fashion problems do you occasionally run into? 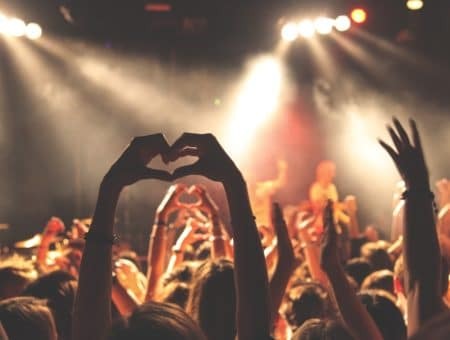 Leave a comment and tell us what you think!